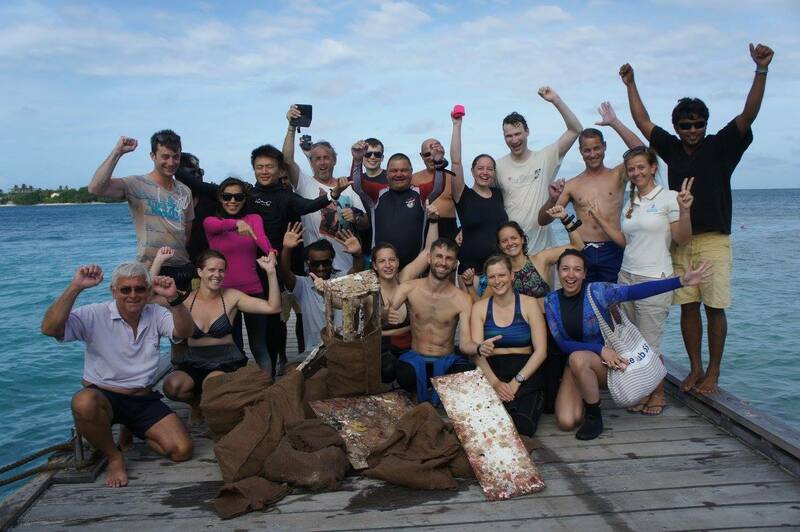 This afternoon, a group of dedicated divers combining guests and team members took a giant stride into the blue with a mission; to collect trash lying on the seabed. They emerged back 45 minutes later, hands full with garbage of all sorts, the most peculiar being the exterior of an air conditioning unit and a marble tile. 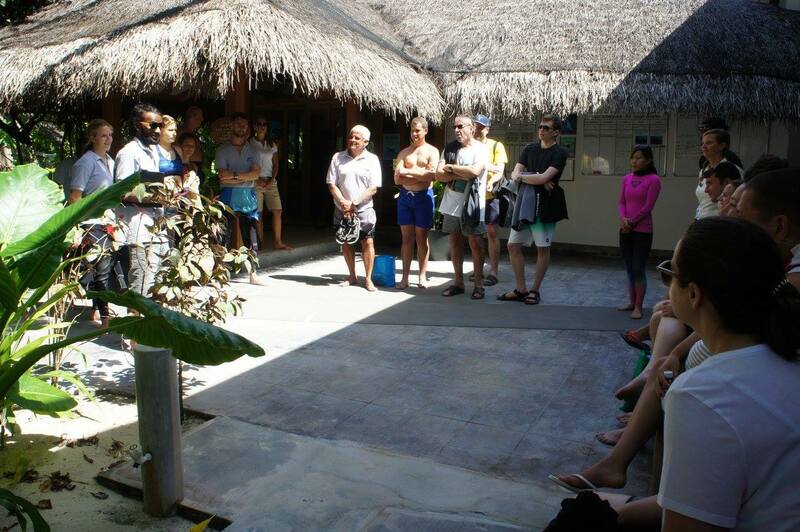 Celebration was then made with a toast to fresh coconuts at the dive school in a joyous fashion. The occasion you might wonder? 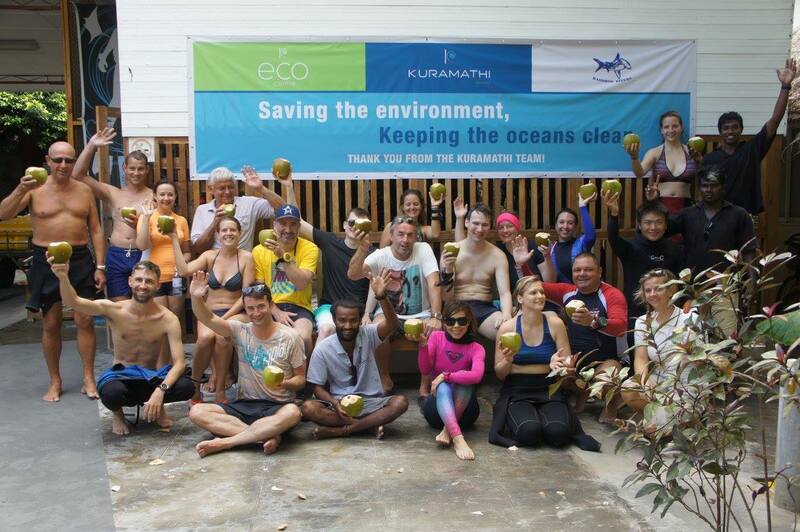 Kuramathi making a sustainable holiday pledge by organising a dive clean-up on the house reef. This initiative dubbed as ‘Make Holidays Greener’ is led by ABTA in partnership with Travelife for Hotels & Accommodations. This year’s campaign launched today on 1 July and will encourage holidaymakers and the travel industry to make sustainable holiday pledges, taking care of the local environment and supporting local communities in holiday destinations. Kudos to those who participated in this event and for the outstanding contribution to planet Earth! An emerald jewel in the turquoise Maldivian waters, Kuramathi is a stunning island retreat with acres of luxuriant vegetation surrounded by spectacular beaches tapering into an endless sandbank. Villas blend contemporary design and nature and are set on the beach, amongst lush gardens or over water. Four poster beds, open-air bathrooms, rainfall showers or Jacuzzi, large outdoor decks with inviting daybeds or sun loungers, are just some of the creature comforts enjoyed by our guests. Dining options are diverse with many restaurants, bars and great value all inclusive packages, topped off with Maldivian service – welcoming, genuine and friendly.